Her diverse and colourful cultures, woven into one gigantic quilt. Her festivals that galvanise the sleepy thousands into fervent motion. And her miles of silver, white beaches, stretched taut and inviting over the entire coast. 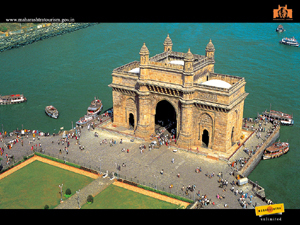 Welcome aboard a travel package that gives you a glimpse into this vibrant and beautiful land. Devendra Fadnavis Devendra Gangadhar Fadnavis (born 22 July 1970) is an Indian politician and 18th, incumbent Chief Minister of Maharashtra holding the office from 31 October 2014. A member of Bharatiya Janata Party and the Rashtriya Swayamsevak Sangh, at the age of 44, he became the second youngest Chief Minister of Maharashtra after Sharad Pawar. Fadnavis represents the Nagpur South West constituency in Maharashtra Legislative Assembly. Fadnavis was born on 22 July 1970 in Nagpur to a Brahmin family. His father, Gangadhar Rao Fadnavis, served as a member of the Maharashtra Legislative Council from Nagpur. His mother Sarita Fadnavis, who is a descendant of the Kaloti family of Amravati, was the former Director of Vidarbha Housing Credit Society. Fadnavis received his initial schooling from Indira Convent, named after then Prime Minister Indira Gandhi. During the Emergency, Fadnavis' father, Gangadhar, a member of the Jan Sangh, was incarcerated for participating in anti-government protests. Fadnavis subsequently refused to continue his schooling at Indira Convent, because he did not want to attend a school named after the Prime Minister he held responsible for jailing his father. He then transferred to the Saraswati Vidyalaya school, where he received most of his schooling. After completing ten years of schooling, Fadnavis attended Dharampeth Junior College for his intermediate. After completing his 12th standard, he enrolled at Government Law College, Nagpur, for a five-year integrated law degree, and graduated in 1992. Fadnavis also has a post-graduate degree in Business Management and a diploma in Methods and Techniques of Project Management from DSE (German Foundation for International Development), Berlin. As a college student, Fadnavis was an active member of ABVP. In the ABVP, he started as a grassroots worker where he painterator from Ram Nagar ward. Five years later Fadnavis became the youngest mayor of the Nagpur Municipal Corporation and became the second youngest mayor in the history of India. In 1999, he was elected to the Maharashtra state assembly for the first time. He is currently serving his fourth term as MLA as of 2014. Fadnavis, was selected the legislative party leader by the new BJP MLAs in a meeting at Vidhan Bhavan in the presence of party's central observers, Union Home minister Rajnath Singh and party's national general secretary Jagat Prakash Nadda. Fadnavis was sworn in as the chief minister of Maharashtra from the BJP on 31 October 2014. His government won a confidence motion by voice vote on 12 November 2014 allowing it to govern. Educational Qualifications Law Graduate merit holder from Nagpur University A Post Graduate Degree holder in Business Management Diploma in Methods and Techniques of Project Management from DSE Berlin ..
Chennamaneni Vidyasagar Rao (born 12 February 1941) is an Indian politician from Telangana, currently serving as Governor of the states of Maharashtra and of Tamil Nadu. A member of the Bharatiya Janata Party, he had served as a Union Minister of State in the Ministry of Home Affairs in Atal Bihari Vajpayee's government from 1999. He was elected to 12th and 13th Lok Sabha from Karimnagar. He was born in Nagaram, Sircilla district on 12 February 1941 to C. Srinivasa Rao and Chandramma, in a Padmanayaka Velama Dora family. He has three brothers. He completed his schooling in Vemulawada, PUC in Hyderabad, B.Sc. in Nanded of Maharashtra and later studied law at Osmania University. As a Lawyer and Politician After completion of law, he started working as lawyer. 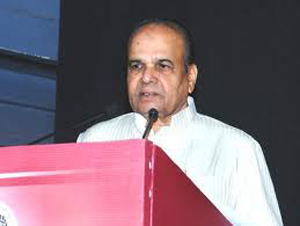 He was elected as convener(Chairman) of Janasangh, Karimnagar in 1972. He went to jail during the emergency period. He represented the BJP in Andhra Pradesh Legislative Assembly from Metpally assembly segment from 1985 to 1998 and entered into the Parliament by winning Karimnagar Lok Sabha constituency in 1998 and in 1999. He was also the BJP state president in 1998. His leadership in assembly has lifted party's profile in the state. 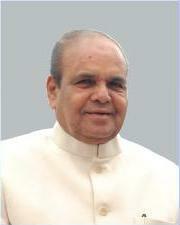 Shri Rao had been Floor Leader of his party in the Andhra Pradesh Legislative Assembly for 15 years. He was successful in piloting a private member�s bill in the Andhra Pradesh Legislative Assembly that sought stringent punishment for people practicing bigamy. It was completely Sri Rao's brainchild. His Padyatra to Ichampalli in the year 1998 as the then BJP president highlighting the need to utilize Godavari waters for the needs of the people of Telangana led the Government to consider the project seriously. As a Minister He was Union minister of State for Home affairs in the cabinet of Atal Behari Vajpayee in 1999. Later, his portfolio was changed to Union Minister of state for Commerce and Industry. As a Governor He was appointed as a governor of Maharashtra on 30 August 2014. His appointment was issued by 13th President of India, Mr.Pranab Mukherjee after the resignation of K. Sankaranarayanan. His oath was administered by Chief Justice of Bombay High Court Mohit Shah. On 26 September 2014, he accepted the resignation of Prithviraj Chavan as his party had no majority, and President's Rule was imposed on Maharashtra. He holds additional charge as governor of Tamil Nadu . Family His wife's name is Vinoda. His elder brothers are C. Rajeshwara Rao, a former Communist leader; C. Hanumantha Rao who was the chancellor of Hyderabad Central University and C. Venkateshwara Rao. Most of his family members are settled in Dallas, Florida and Dubai. 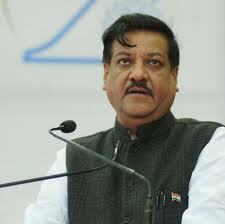 Shri Prithviraj Chavan Prithviraj Chavan was born in Indore on 17 March 1946. His father�s name is D. R. Chavan. Prithviraj has a B.E. (Hons.) from BITS, Pilani and also a M.S. from University of California, Berkeley. He started his career as engineer in the field of aircraft instrumentation and designing audio recorders for anti-submarine warfare in the US. His grandfather and father were politician and attached with Congress. 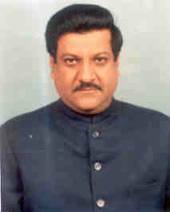 Prithviraj Chavan started his political career in 1991 and won the family seat of Karad. After that he won that seat thrice. Recently he was the Minister of State for the ministries of Ministry of Science and Technology, Ministry of Earth Sciences, Ministry of Personnel, Public Grievances and Pensions, Ministry of Parliamentary Affairs and in charge of Prime Minister�s Office. Earlier he was also the Minister Of State in charge of the Department Of Atomic Energy. The biggest positive thing with Mr. P.R. Chavan is his neat and clean political career. Evan no any small blame has been charged for P.R. Chavan. He is very honest and responsible person. Now all people of Maharashtra and India hope that Mr. Prithviraj Chavan will develop of Maharashtra till rural areas of Maharashtra. Educational Qualifications B.E. (Hons), M.S. Educated at B.I.T.S., Pilani, Rajasthan and University of California, Berkeley, U.S.A.
CV: Kateekal Sankaranarayanan (Marathi: ??????? ?????????????? ; born 1932) is the current governor of the Indian state of Maharashtra. He had also served as the Governor of Nagaland and Jharkhand. Prior to his appointment as Governor, he had served as a Minister in several Congress led governments of Kerala headed by Chief Ministers A. K. Antony and K. Karunakaran. Sankaranarayanan was also asked to assume the additional charge of Arunachal Pradesh during the absence on leave of S. K. Singh. The swear-in ceremony was held on April 7, 2007. When Singh was appointed Governor of Rajasthan on August 19, 2007, Sankaranarayanan was also appointed Governor of Arunachal Pradesh, and he was sworn in on September 4, 2007. He remained in that post until January 2008, when Joginder Jaswant Singh became governor of Arunachal Pradesh. On 22 January 2010, he was sworn in as the Governor of Maharashtra.